This chic and petite necklace from Gucci adds the perfect amount of shine to your daily style. 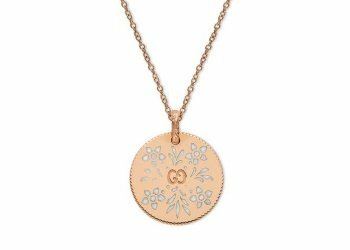 Features an 18k rose gold pendant with white enamel details, on a rose gold chain with clasp closure. 17" long.